Empire World War 3 is on! 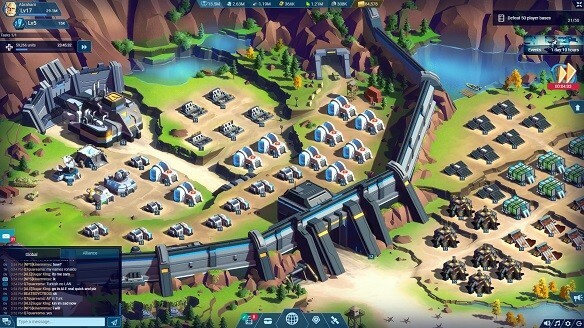 Build up your base, train your units, and command them in action packed battles. Prospect and mine the rare resource Millennium and secure the highest amount possible. Observe your enemies' every move on the world map and loot their bases. Lead your army into war. Warfare turns ruthlessly violent to sabotage and eliminate competition. Ally with the most powerful commanders. Use any means necessary to crush your enemies to get the biggest share of the pie of the lucrative Millennium. Who will dominate the war for Millennium? Do you have what it takes to dominate them all? The war is on! Lead your army into the fight for the rare resource Millennium in Empire: World War III!